Travel back in time and discover remarkable objects that illuminate the life, culture, and pageantry of the samurai, the revered and feared warriors of Japan—from one of the finest and most comprehensive collections in the world. Samurai! 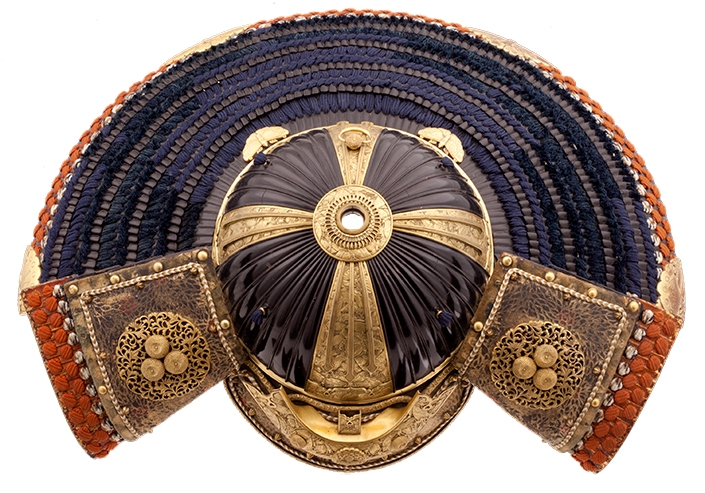 Armor from the Ann and Gabriel Barbier-Mueller Collection presents a treasure trove of battle gear made for high-ranking warriors and daimyo (provincial governors) of the 14th through 19th centuries. The exhibition illustrates the evolution of the distinctive appearance and function of samurai equipment through the centuries and examines their history. During the centuries covered by the exhibition, warfare evolved from combat between small bands of equestrian archers to the clash of vast armies of infantry and cavalry equipped with swords, spears, and even matchlock guns. Arms and armor were needed in unprecedented quantities, and craftsmen responded with an astonishingly varied array of armor that was both functional and visually spectacular, a celebration of the warrior’s prowess. Even after 1615, when the stern rule of the Tokugawa military dictatorship brought an end to battle, samurai families continued to commission splendid arms and armor for ceremonial purposes. Because the social rank, income, and prestige of a samurai family were strictly determined by the battlefield valor of their ancestors, armor became ever more sumptuous as the embodiment of an elite warrior family’s heritage. Drawn from the renowned Ann and Gabriel Barbier-Mueller collection, Samurai! features the full panoply of warrior regalia, with full suits of armor, helmets and face guards, weapons, horse trappings, and other battle gear. Highlights include helmets of lacquered metal adorned with emblems often inspired by nature—which signaled the status of the wearer, differentiated samurai from each other, and also frightened the enemy on the battlefield; armored horses carrying combat-ready samurai; and a full ensemble of armor and ceremonial jackets worn by the high-ranking samurai of the Mōri family. The Mōri, who traced their roots to famous warriors of the13th century, were among the most powerful warrior families in western Japan. Portland will be the only West Coast venue for Samurai!